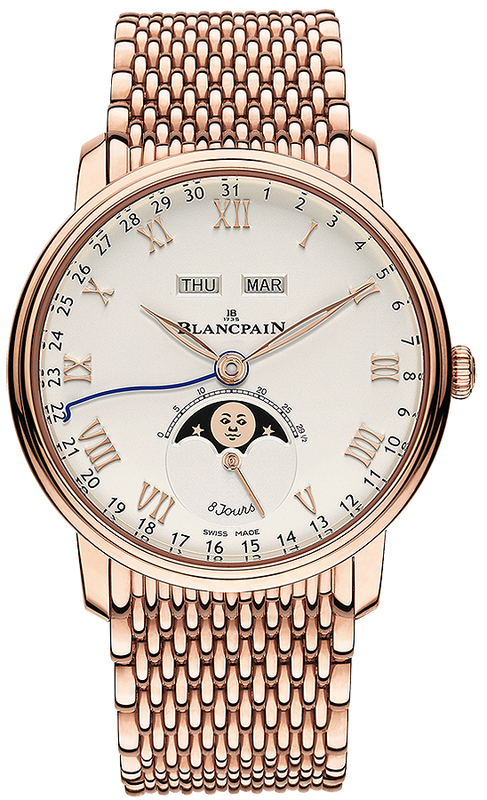 Silvered opaline dial with applied rose gold Roman numeral hour markers. 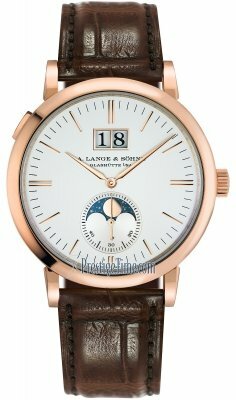 Elegant rose gold leaf shaped skeletonized hour & minute hands. 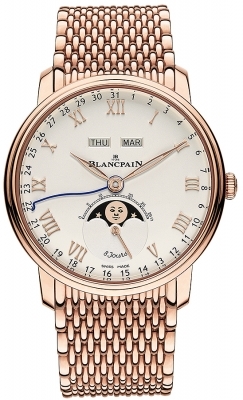 Also of note is that this Villeret model features a revolutionary method for adjusting the indications without fear of movement damage, allowing for complete date changes regardless of the time of day. 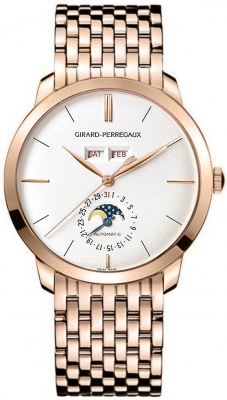 Date indicated by the blued curved hand which points to the current date. 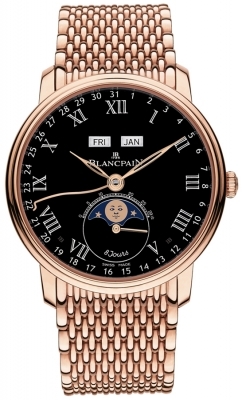 Dates are printed around the dial in black. 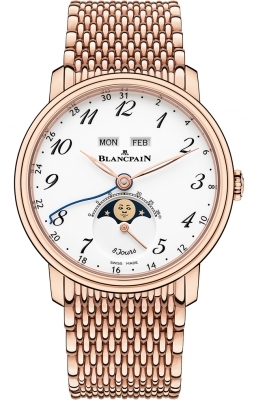 Blancpain Caliber 6639, composed of 303 components, contains 35 jewels & has an impressive power reserve of 8 days (192 hours) - this is accomplished by a set of 3 barrels.